Brilliant for keeping your personal items such as mobile phone and wallet secure. Has two seperate compartments ideal for safe storage when out and about in your wheelchair. The seat pouch is made from tough waterproof nylon and will fit most rigid and folding wheelchairs. Styled to complement the Quickie Back Pack. The perfect accessory for any wheelchair. A small pouch that holds your Mobile phone on t.. 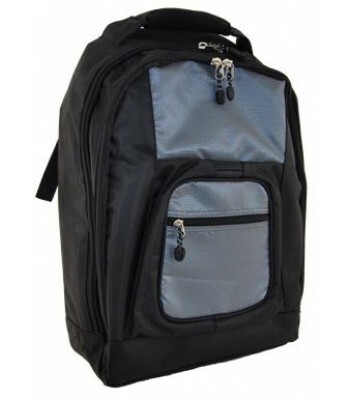 Stylish back pack with numerous zip compartments and fastenings. Includes carry hand..